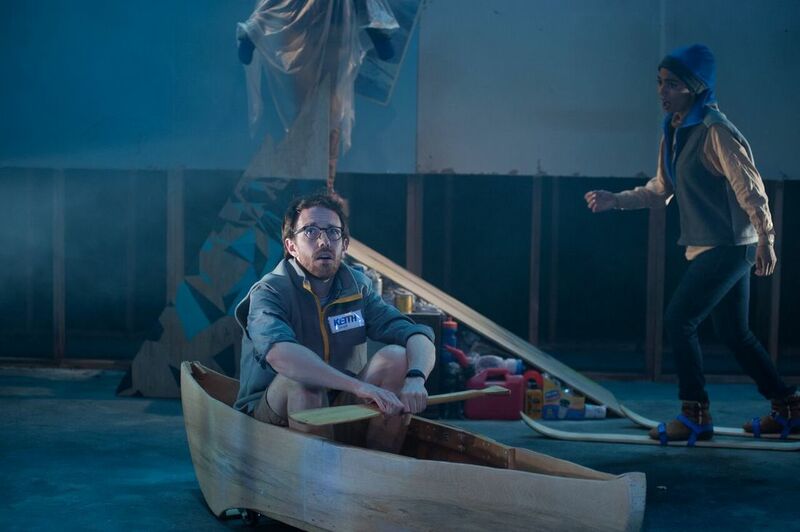 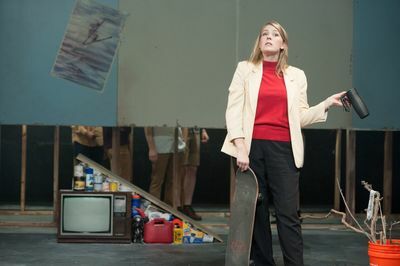 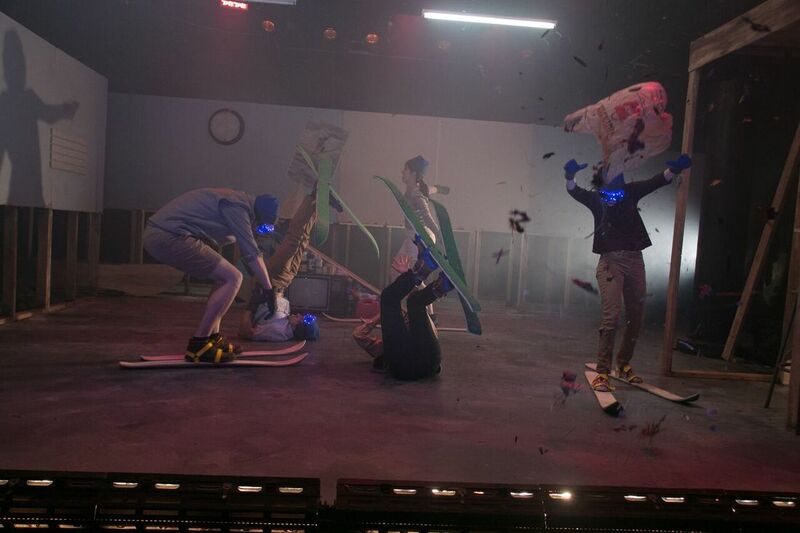 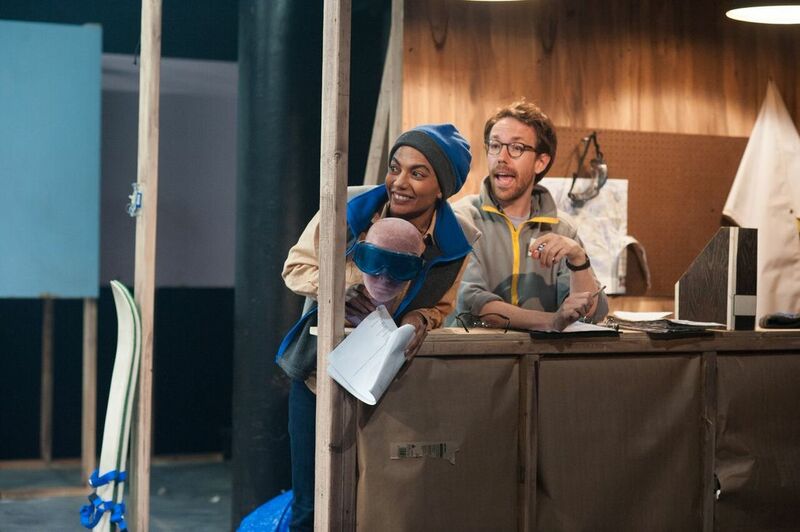 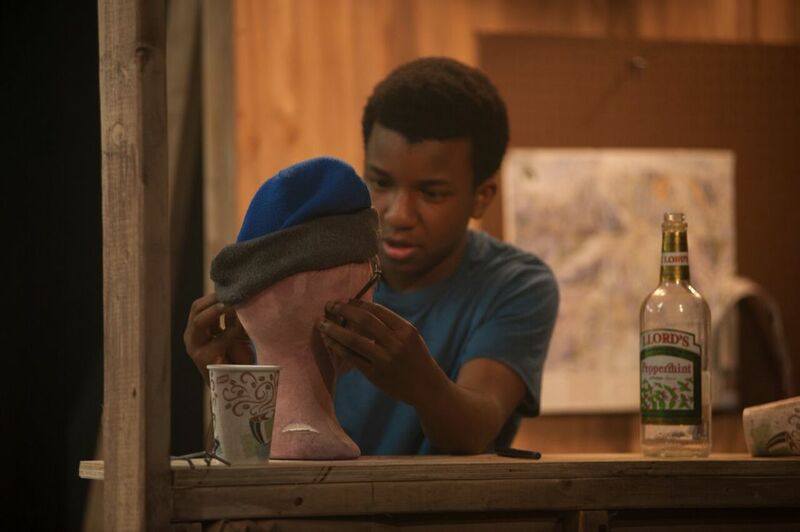 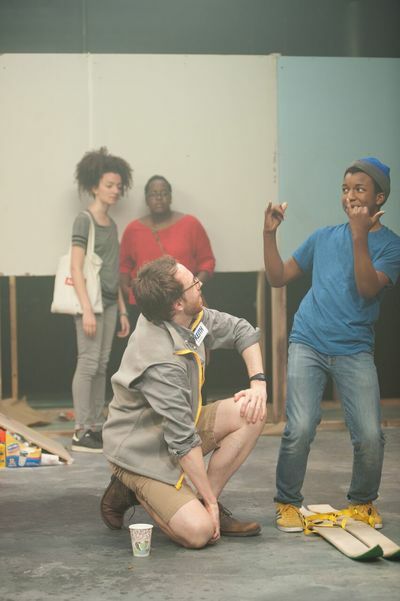 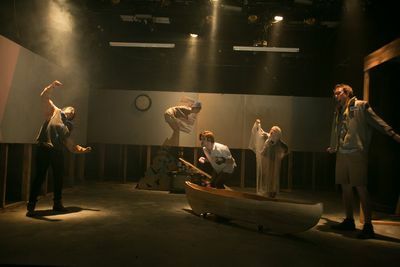 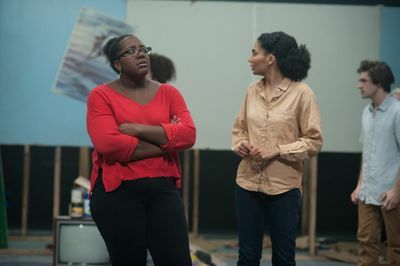 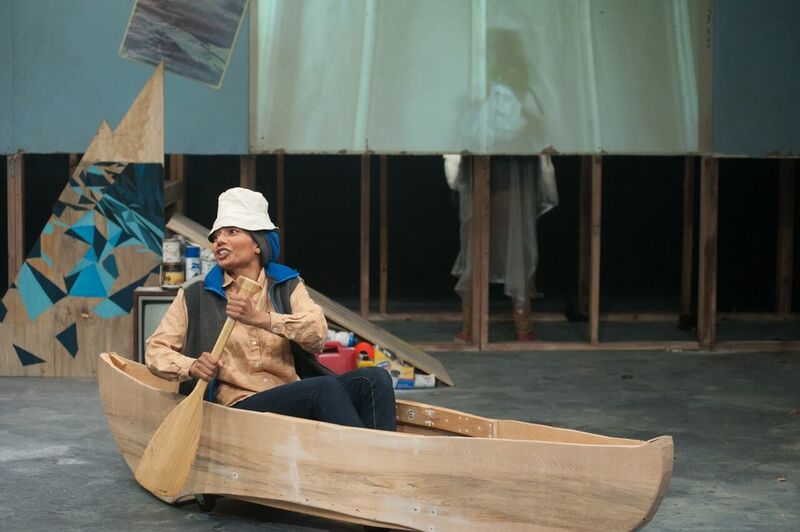 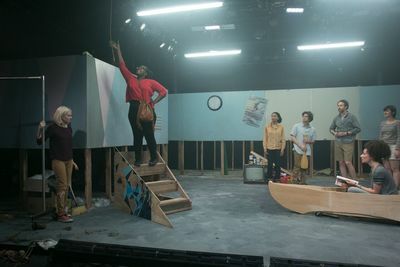 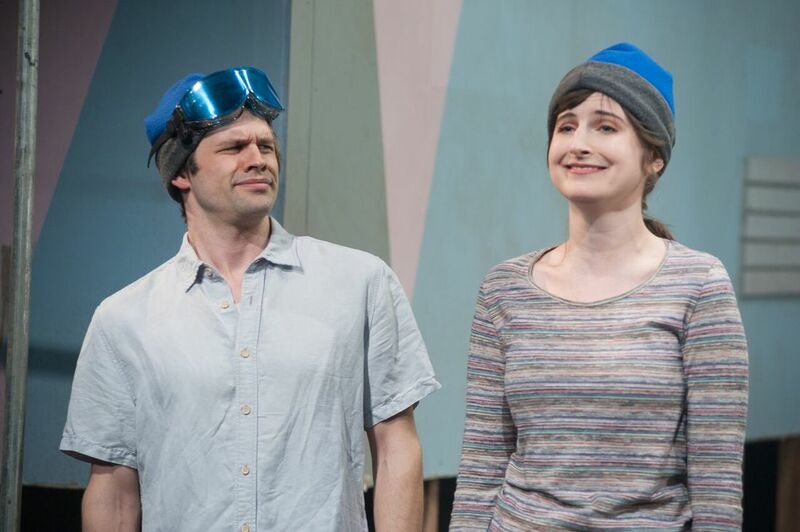 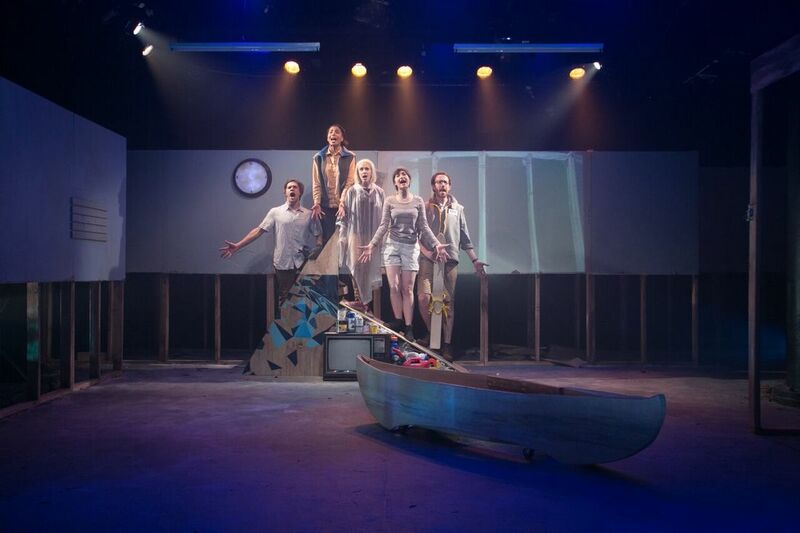 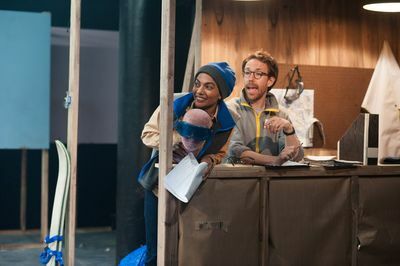 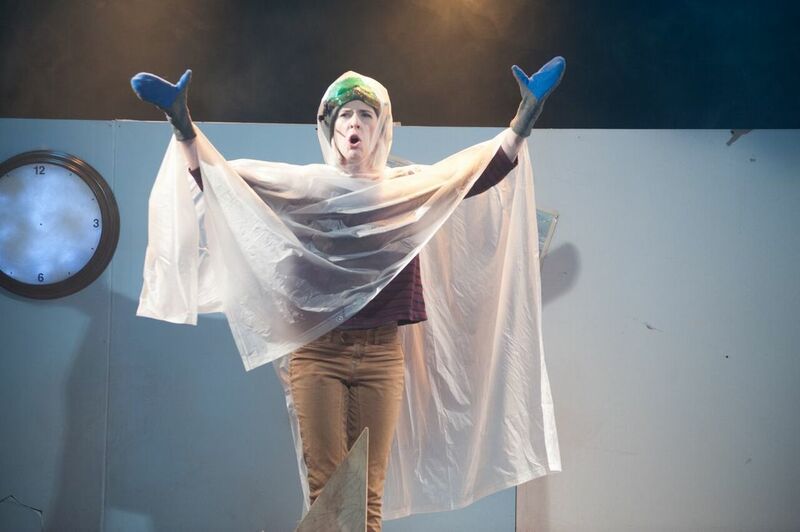 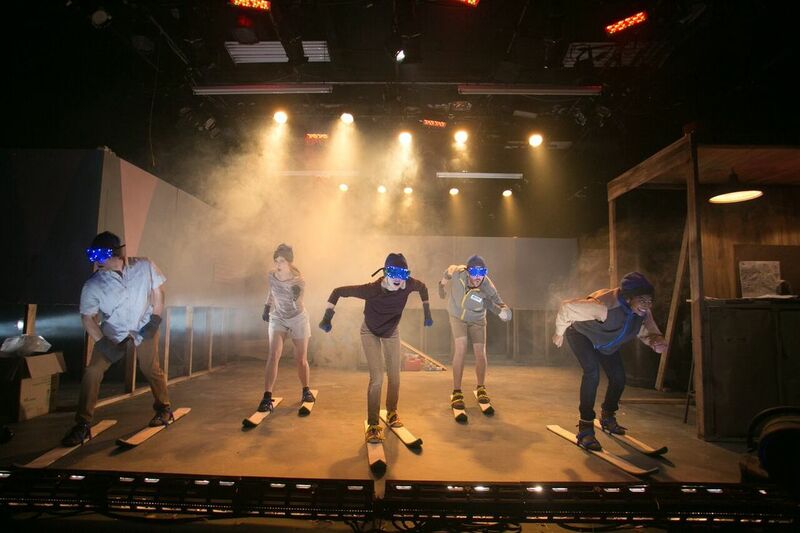 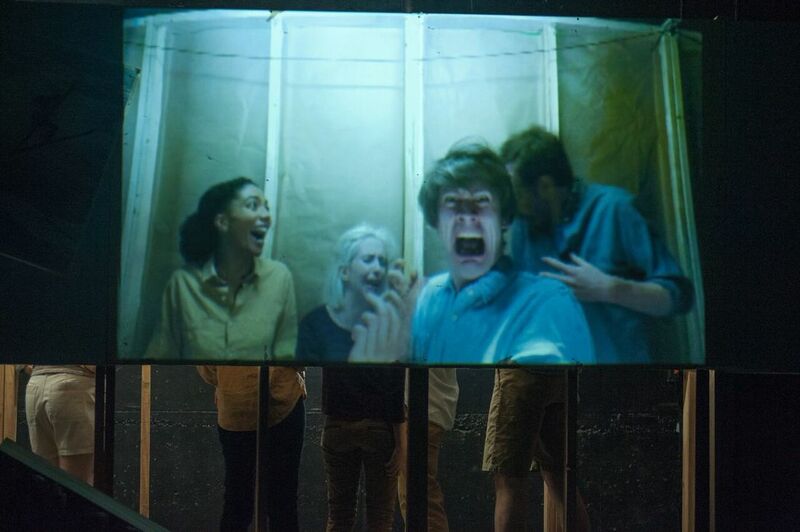 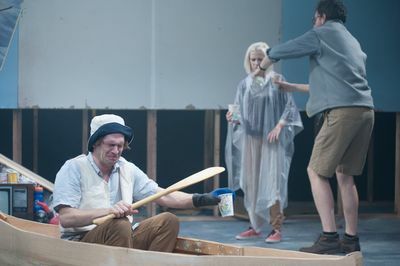 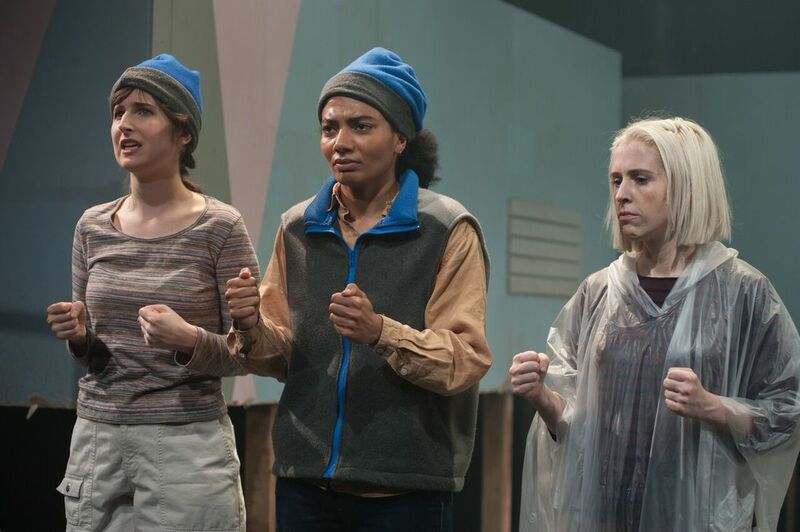 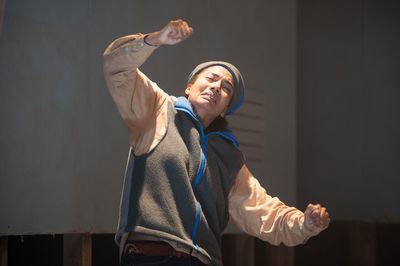 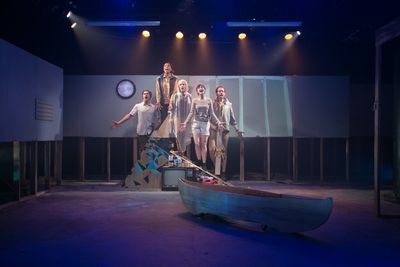 SKI END was made possible by the Production Assistance Grant from New York Theatre Workshop, the LMCC Workspace Residency, and the Mental Insight Foundation. 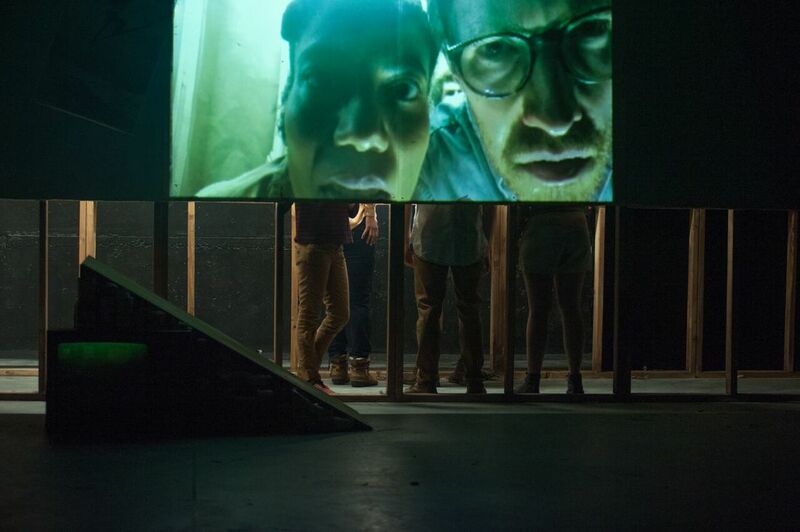 "...dispenses, almost offhandedly, acute observations about a society in which impermanence passes for progress." 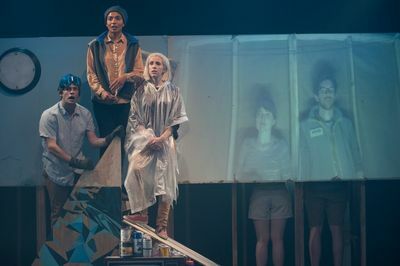 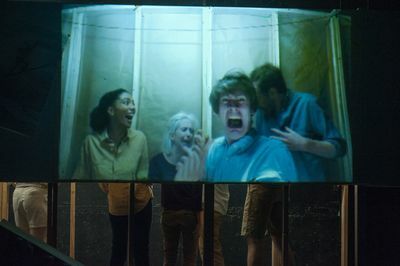 "a modern-day answer to Ionesco"
"the most unique theatrical experience you are likely to have this week." 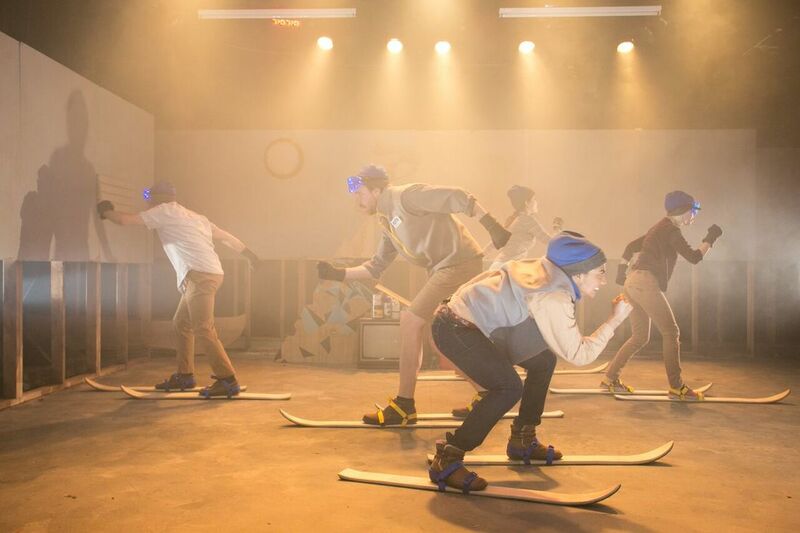 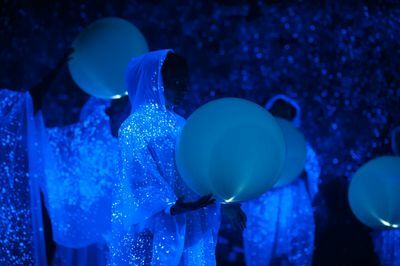 A workshop production of SKI END was presented in the 2016 Ice Factory Festival from July 27-30, 2016. 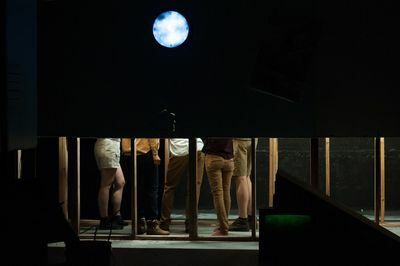 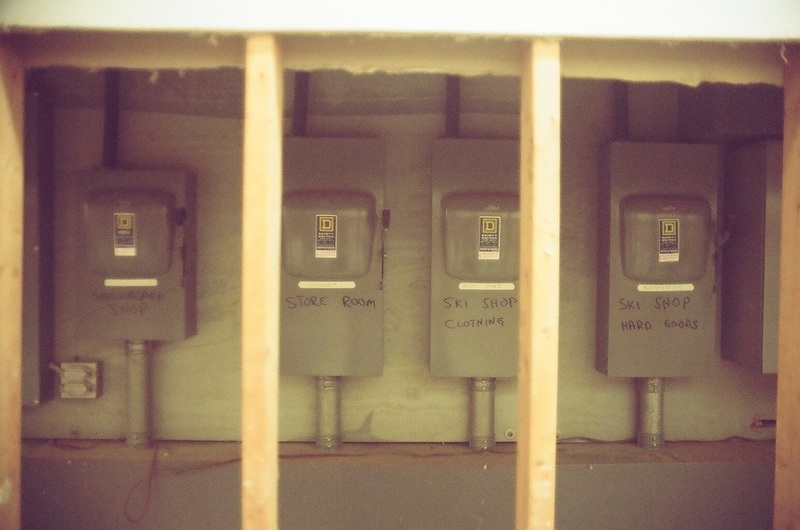 This immediately followed a development period within the 2015/2016 LMCC Workspace Residency, where a shorter in-progress excerpt was presented in April 2016 at the annual LMCC Open Studios. This excerpt was shown alongside our "Talk to a Teen" participatory multimedia installation, a collaboration with analog video artist Allen Riley. 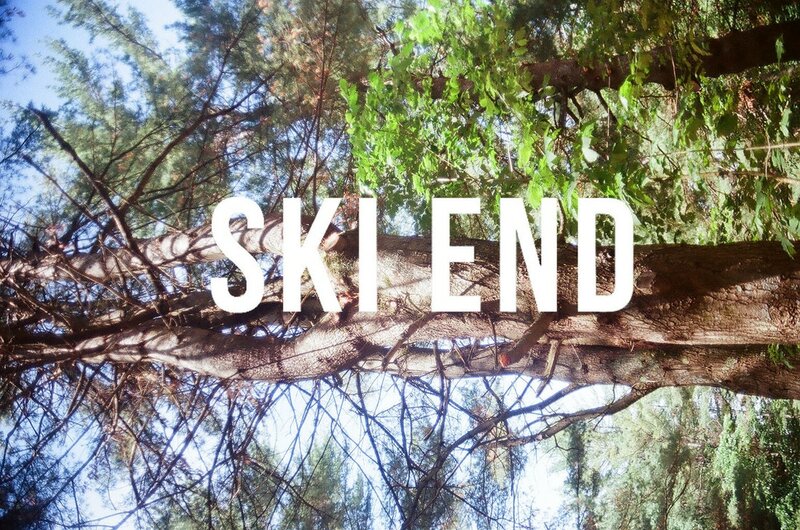 SKI END was inspired by a real-life abandoned ski shop brought down by the recession and intense flooding during Hurricane Irene. 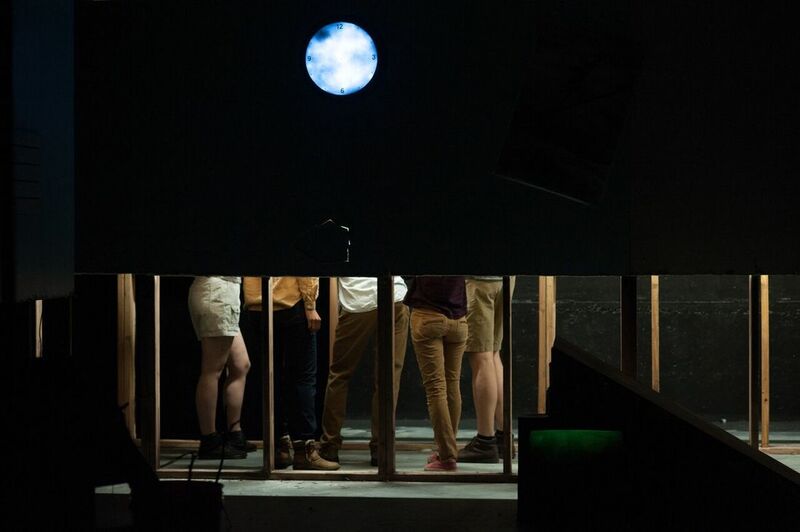 Piehole visited it in the summers of 2014 and 2015, then returned again in the Fall of 2016.